Chocolate Negroni - 58 Gin | Classic cocktail from a premium artisan gin. An indulgent twist on this classic cocktail. 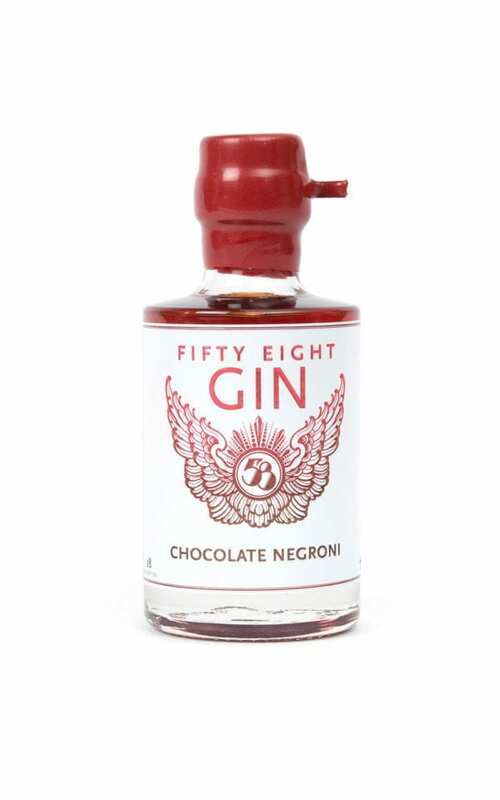 58 Gin’s Chocolate Negroni is created using most delicious cacao nibs from a locally sourced East London chocolaterie. Blended to perfection with 58 Gin’s signature London dry, Sweet Vermouth and Campari. Poured over ice and an orange wheel to garnish.